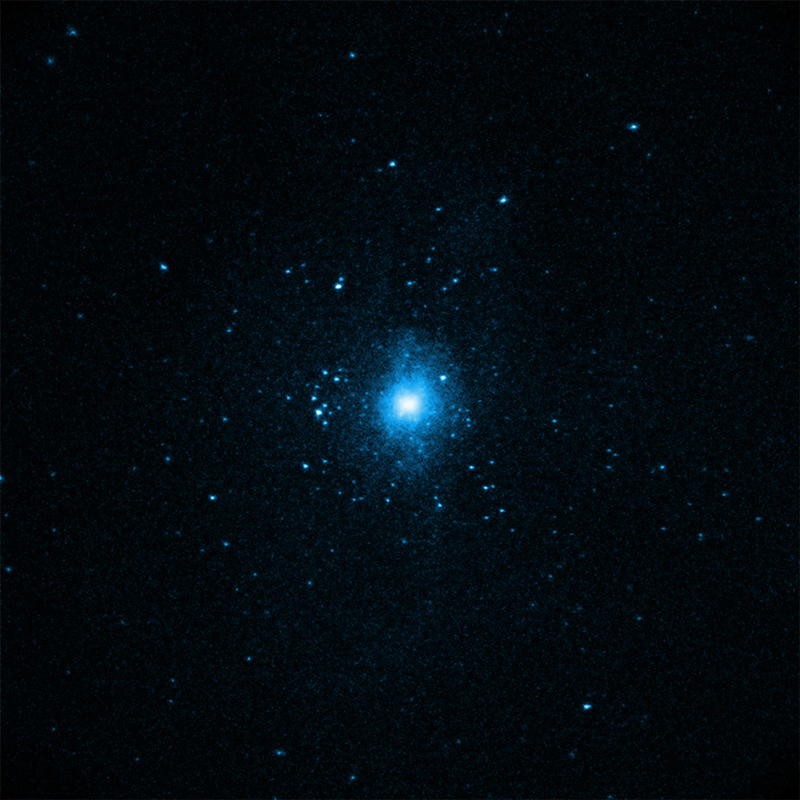 Elliptical Galaxies: Chandra Helps Explain "Red and Dead Galaxies"
A new study looks at why some giant elliptical galaxies have such low levels of star formation despite reservoirs of fuel to make them. Astronomers used Chandra to determine the role that supermassive black holes play in this dearth of stellar birth. Outbursts from the supermassive black hole may be preventing the gas from cooling enough to allow stars to form. 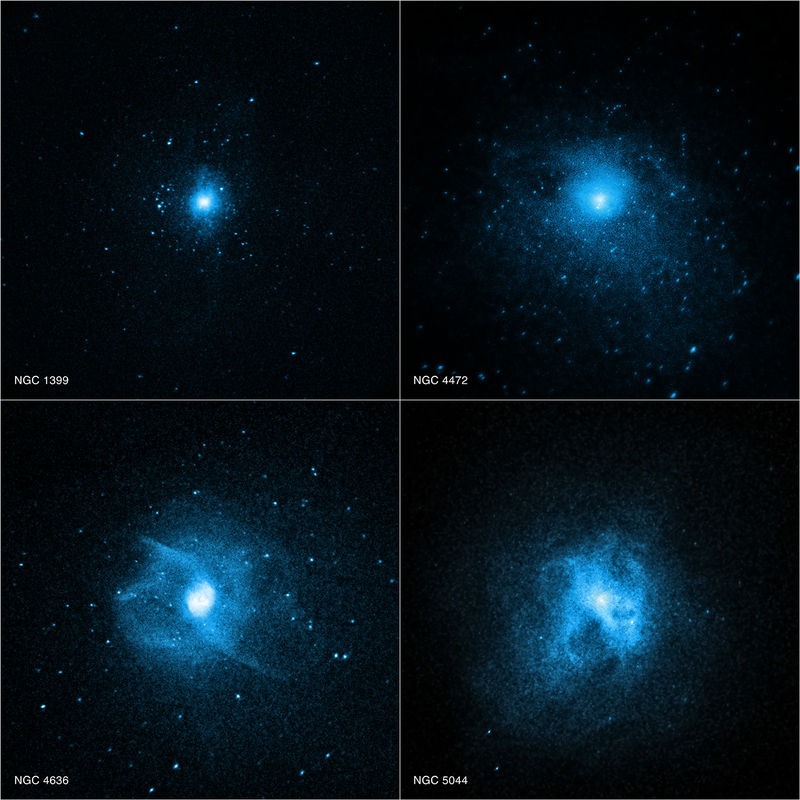 These four galaxies are part of a sample of eight in the study. The other galaxies in the sample, NGC 1399 and NGC 4472, are also forming few if any stars, but they have a very different appearance. No cold gas was detected in these galaxies, and the hot gas in their central regions is much smoother. Additionally, they have powerful jets of highly energetic particles, as shown in radio images from the National Science Foundation's Karl G. Jansky Very Large Array. These jets are likely driven by hot gas falling towards the central supermassive black holes. By pushing against the hot gas, the jets create enormous cavities that are observed in the Chandra images, and they may heat the hot, X-ray emitting gas, preventing it from cooling and forming cold gas and stars. The centers of NGC 1399 and NGC 4472 look smoother in X-rays than the other galaxies, likely because their more powerful jets produce cavities further away from the center, where the X-ray emission is fainter, leaving their bright cores undisturbed. A paper describing these results was published in the February 25, 2014 issue of the Monthly Notices of the Royal Astronomical Society and is available online. The first author is Norbert Werner from Stanford University in California. Credit X-ray: NASA/CXC/Stanford Univ/N.Werner et al. Coordinates (J2000) RA 03h 38m 29.08s | Dec -35° 27´ 02.67"
Coordinates (J2000) RA 12h 42m 49.87s | Dec +02° 41´ 16.01"
Coordinates (J2000) RA 13h 15m 23.97s | Dec -16° 23´ 08.00"
Every galaxies working is different. if one galaxy form a star in 1 spam of time with same resources other galaxy will may develop a star in 10 spam of time because according to their mass and structure they differ from each other but at some time where there resources formation happens at some point with effective power generate a star. be red dead, instead of inflating?